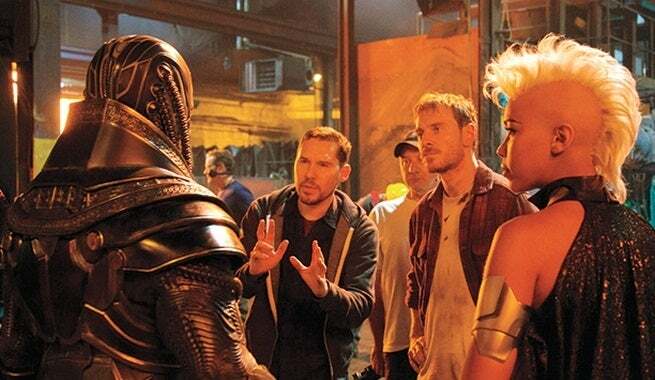 While X-Men: Apocalypse is still in production in Montreal, writer/producer Simon Kinberg is already thinking about what’s next for the merry mutants. The X-Men films are coming up on a turning point. The contracts for the core cast members who came onboard with X-Men: First Class – Michael Fassbender, Jennifer Lawrence, James McAvoy, and Nicholas Hoult – are all set to expire after Apocalypse. Kinberg hopes that they’ll return, but says the series will continue either way. X-Men: Apocalypse is a pivotal moment for the series, shifting the narrative focus to the young versions of Jean Grey (Sophie Turner), Cyclops (Tye Sheridan), and Storm (Alexandra Shipp) while concluding the character arcs begun in First Class and continued in Days of Future Past. It’s interesting to hear Kinberg mention that he’s already looking to the series’ future, and that the focus of the series is on the newly cast young X-Men, as this seems to clash with rumors of a franchise reboot that surfaced back in April. Check out when X-Men: Apocalypse and other movies are coming out in ComicBook.com's Movie Release Schedule.